We’ve been previewing teams for the past couple weeks, and now that Opening Day is finally here, it’s time to put our money where our mouths are. Below you will find predictions from 10 THT writers, including divisional standings, major awards and what happens in October. Within a week, we may all look like idiots, but that’s the beauty of baseball. You’ll notice that, after the first two spots, everyone pretty much has this division predicted exactly the same. I suppose that’s not all that surprising, considering the entire division, one through five, has finished in the same order for six straight seasons. Alex Belth is the lone soul brave enough to predict anything but last place for Tampa Bay, while all 10 of us think the Blue Jays are destined for third. The Red Sox get just three first-place votes, which may have been higher had Nomar Garciaparra and Trot Nixon not gone down with injuries. Interestingly, one of the Boston’s first-place votes came from the guy who runs a blog devoted to the Yankees, Alex Belth, while Ben Jacobs, a Red Sox fan, stuck with Boston. The consensus opinion on this division matches the standings every year since 1998: New York-Boston-Toronto-Baltimore-Tampa Bay. The Royals got a lot of second-place votes, but only one person, Matthew Namee, puts them atop the division. Alex Belth is the only one to have Cleveland in the top three, picking them to win the division, while Joe Dimino and Studes both have the Indians finishing in the basement. Minnesota picks up six of the remaining eight first-place votes, while the White Sox surprisingly get just two. Not surprisingly, just two of us think the Tigers will find their way out of last place, after finishing last season 25 games behind Cleveland. The consensus opinion on the AL Central has Minnesota winning it for the third straight year and Detroit bringing up the rear for a third straight year. Geez, us statheads sure do like the A’s, huh? Eight out of 10 pick Oakland to repeat as AL West champs, while Studes and Steve Treder have Oakland in second, with Anaheim taking the division. The A’s and Angels take up the first two spots for all 10 guys, and every person has Seattle in third and Texas in last. The consensus opinion is that Oakland will win the division for the third straight time, with Anaheim jumping over Seattle into second place. Also, we have the Rangers finishing in last place for the fifth consecutive season. All 10 of us have the second-place team in the AL East winning the Wild Card, which means there isn’t a single person among us who believes either the Yankees or Red Sox will miss the playoffs. The Rookie of the Year predictions were primarily split between two players, with Bobby Crosby beating Joe Mauer six to three, while Matt Riley picked up a vote from Craig Burley, who must not have gotten the memo. The Manager of the Year picks are all over the place. As you might expect from his AL Central prediction, Alex Belth picks Eric Wedge, while Ozzie Guillen, Ken Macha and Mike Scioscia each pick up two votes. Javier Vazquez is the consensus pick for the Cy Young, while no one, not even our two Blue Jays fans on staff, picks last year’s winner, Roy Halladay. Pedro Martinez and Tim Hudson pick up two votes each. The MVP predictions were very close, with Alex Rodriguez narrowly edging out Vladimir Guerrero, four to three. We came very close to predicting members of the 2003 Expos winning both the AL MVP and Cy Young awards. Philadelphia, who finished third in the division last year, checks in with six of the 10 first-place votes, with Atlanta getting the other four. All 10 of us have the World Champion Marlins finishing third in the division and everyone but Joe Dimino has the Mets in fourth and Montreal in last. The consensus has the Phillies breaking Atlanta’s amazing run atop the NL East, which…well, I’ll believe it when I see it. Opinion on this division is very split at the top, but pretty much in agreement for the final four spots. Only Craig Burley has either Houston or Chicago outside of the top two spots, placing the Cardinals #2. Also, we all agree that the division is definitely split into two parts, as no one has Houston, Chicago or St. Louis in the bottom half of the standings. 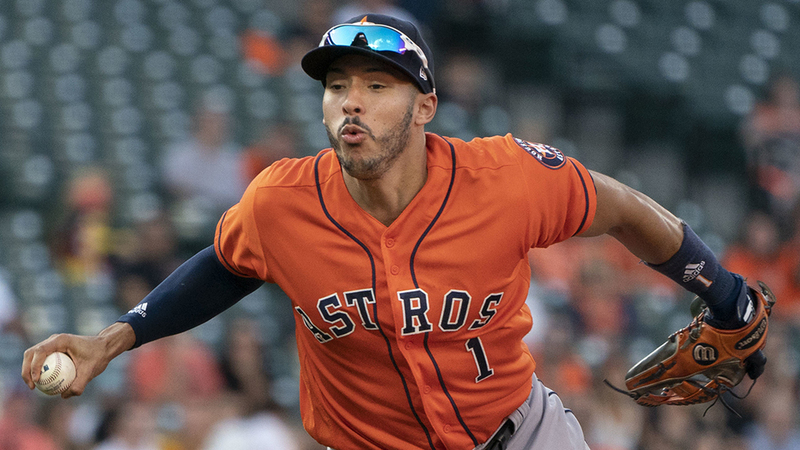 The Cubs won the division by one game over Houston last year, but our consensus has them flip-flopped this season, with Houston taking home the title. Of the other four teams, all four of them had at two of us pick them to win the division. Not a single person picked Arizona to finish second, but Los Angeles, San Diego and San Francisco were eached picked to finish second by at least two people. Meanwhile, San Francisco didn’t get any third-place votes, although Joe Dimino picked them to finish fourth. Los Angeles, San Diego and Arizona all got picked to finish third by at least two of us. And finally, all four non-Colorado teams got picked to finish fourth in the division at least once. The consensus (using a point system) comes out as San Francisco-Los Angeles-San Diego-Arizona-Colorado. The only person who has personal predictions that match the group’s consensus on the NL West? Alex Belth. Each and every one of us picked the second-place team in the NL Central to win the Wild Card. For most, that meant the Cubs, but Craig Burley had St. Louis and four guys had Houston. For the MVP, Albert Pujols is the pick of three people, while only myself and Robert Dudek are following the “Bonds is the MVP until proven otherwise” motto. The majority of us initially picked Mark Prior to win the Cy Young, but most changed their minds when news came out that he’ll likely miss significant time. Still, even with the injury concerns, Prior did get three votes, which ties him with Roy Oswalt. Kaz Matsui is the Rookie of the Year pick for four guys, while Adam LaRoche got three votes and Ryan Wagner got two. Bobby Cox, surprisingly (to me at least) was the consensus Manager of the Year pick, receiving four of the 10 votes. Bruce Bochy was the pick of three guys, two of whom picked San Diego to win the division (which makes sense). As you can, we at THT don’t believe in curses, Bambino, Billy Goat or otherwise. While only three of us have the Red Sox winning the AL East, six of us have them winning the American League. Over in the NL, we are split, with three of us picking the Cubs and three picking the Astros. And who’s going to win it all this year? Well, according to us, the Red Sox. Four out of 10 picked Boston to win their first World Series since 1918.